What if you were paid $1 million dollars for a single Instagram photo? Or received $100,000 for a single Snapchat post? Welcome to the world of social media influencers. Social media influencers are people with enough clout who are able to negotiate huge payouts from companies in return for advertising their businesses in their posts. We’re talking about people like Kylie Jenner, who commands huge fees for promoting products. And Felix Kjellberg, AKA PewDiePie, who makes millions of dollars each year thanks to companies sponsoring his YouTube videos. While such lucrative deals are rare, with the rise of social media marketing Your Guide To Social Media Marketing Your Guide To Social Media Marketing Right now, there is an onslaught of both people and companies turning to social media outlets. The competition is fierce, and no company can waste time or money doing it wrong. Read More , becoming an influencer has grown into a genuinely viable method of earning. The biggest mistake a social media influencer can make is to try to be a jack-of-all-trades but end up the master of none. You may have a bunch of varied interests and areas of expertise, but you need to zero in on the one that you know the most about, and make that your niche on social media. You can post about something as popular as Indian food, or something as obscure as scrimshaw artwork. Stick to posting only about that niche. Unless you came into the game already famous and/or with a large group of followers, posting about random, unrelated topics won’t help you build a brand that companies would be interested in leveraging for ad space. Remember, most social media channels become influencers organically because users flock to their page in search of information about a particular topic. A famous person like Kim Kardashian can get away with Instagramming or tweeting about anything from her personal life, but that’s because her fans already identify with her on a personal level. Until you reach the stage where your fans feel personally connected to you and would be interested in anything and everything you post, avoid branching away from your niche. Tip: If you still feel you can post knowledgeably about more than one niche, create entirely separate channels for the other niches. You can then add a link in your bio to your other channels so that interested users can follow the links and discover your other passions as well. There are a host of social media platforms available to you. There are so many social media niches How Do You Use Social Media? A 20-Something's Theory of Social Media Niches How Do You Use Social Media? A 20-Something's Theory of Social Media Niches With widespread use of social media platforms, it can be hard to understand why new ones are created. Could this be because each social network actually only fills one or two specific niches for users? Read More to consider, so think long and hard about which platform is best suited to your niche. Jokes, short commentaries, and witty observations about the world do well on Twitter. Visually-oriented topics like fashion and artwork capture a lot of interest on Instagram. 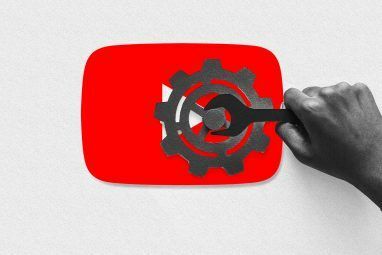 YouTube videos and podcasts allow you to create skits, long-form commentaries, and reactions to what’s going on in the world to attract viewership. Nothing kills a channel quicker than stagnant content. Remember that there are thousands of influencers in every popular niche, each competing for the audience’s rapidly shortening attention span. Unless your followers view your channel as an attractive location to receive the latest information about your niche, they will move on to other channels with more up-to-date content. Tip: Instagram users should check out the best ways to get noticed on Instagram These 10 Tips Will Help You Get Noticed on Instagram These 10 Tips Will Help You Get Noticed on Instagram If you only have a handful of followers on Instagram and aren't receiving the likes or comments that you want, these tips will definitely help. Read More . Being an influencer is a social game, and you absolutely cannot win it alone. 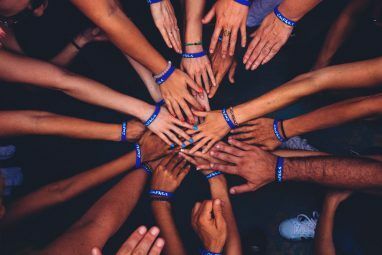 You might well be the foremost authority in your niche, but you can never afford to ignore the other players in the field. Don’t think of social media as only a place for you to talk about your niche to your followers. Think of it also as a place where you learn more about your own subject of interest from other influencers as well. Every savvy influencer understands the importance of networking, so don’t hesitate to reach out to others. Comment on and like their posts, subscribe to their pages, and even share their work where possible. Showing support and interest in your fellow influencers adds a positive vibe to your channel and helps you make friends in the industry who can help your channel grow with future collaborations. Providing information to your followers is step one. Step two is interacting directly with your followers once they start responding to your posts. When you have fewer fans in the beginning, you can follow them back individually and communicate directly to establish rapport. Once your following increases you can engage in group activities relating to your channel. Hold quizzes, polls, and competitions on your page, with some sort of a reward for the most engaged followers. Tip: Remember that a good influencer treats his followers not as customers but as friends. Once advertisers start coming to you with offers, it is your responsibility to advertise products that are actually relevant to your channel and can be of use to your followers. Posting about every random product that is offered to you will quickly lead to accusations of “selling out” and you potentially losing followers Losing Twitter Followers? 10 Dos & Don'ts To Keep Your Followers & Attract New Ones Losing Twitter Followers? 10 Dos & Don'ts To Keep Your Followers & Attract New Ones Probably the toughest aspect of Twitter is acquiring and keeping your followers. You might be annoying people on Twitter and not even realize it. Thus, you begin to lose the followers you worked so hard... Read More . Requesting a shout-out from other popular influencers in your niche. Paying AdWords to run a campaign promoting your channel. Posting snippets from your main channel on other platforms and social media sites like Reddit, which can be of great use in drawing eyes to your content from across a vast swathe of the internet. Adding hashtags to all your content for easy searchability. Once the hard part of gaining a decent following is over, next comes the even more difficult part of maintaining your viewership. As we’ve mentioned before (and it bears repeating), nothing kills a channel faster than stagnant content. Avoid getting into a rut by posting the same kind of content over and over again. Keep an eye on the latest trends relating to your niche by regularly reading blogs written by the best experts in your niche. Brainstorm ideas for new activities relating to your niche that you can participate in and talk about on your channel. 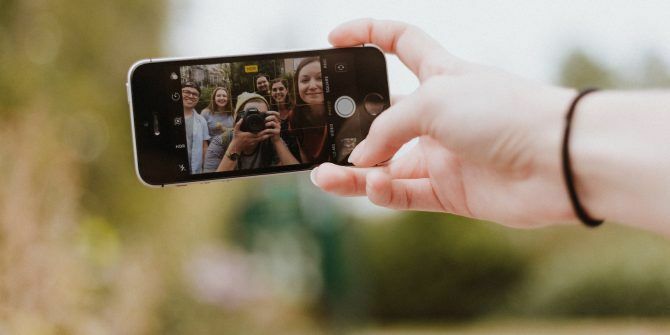 For instance, many popular YouTubers have started doing reaction videos, and rack up tens of thousands of views simply filming their reaction to other videos. Ask your followers for ideas on new additions to your channel. Find out what parts of your channel appeal to them the most, and expand on those themes. Now that your channel is worth some serious ad revenue, it’s time to talk to the sponsors who would actually want to use your account to promote their products. Don’t wait around for the advertisers to come to you. Decide the categories of products that would appeal to your followers. Google the companies in those categories that have a good reputation among customers. Once you’ve compiled a list of companies, find the social media accounts of the ones you feel would be interested in your channel. Message the companies with information about your channel, your number of followers, and the latest user-engagement stats from your channel’s analytics page. Be polite, professional, and honest about how you can help their business. If you’re able to carefully manage your relationship with your followers as well as the companies whose products you sponsor, you will be able to maintain a steady stream of income every month selling ad space on your channel or by personally endorsing products. Remember, building up that kind of trust takes time. Don’t expect to become an influencer in a matter of months or for the cash to start rolling in at once. Commit yourself to your channel Before Starting a YouTube Channel, Consider These Success Factors Before Starting a YouTube Channel, Consider These Success Factors Starting a successful YouTube channel isn't easy, but if you keep these tips in mind, you'll be ahead of the curve! Read More for the long haul, share your passion for your niche subject by creating attractive content, and you could be on your way to becoming a social media influencer. Explore more about: Facebook, Instagram, Snapchat, Twitter, YouTube.